Supporting suitably qualified research master’s and doctoral candidates in any discipline working in partnership with academia and industry while employed by an enterprise partner. About the Award: The Council offers opportunities for suitably qualified individuals to take up an employment-based award to carry out research leading to a postgraduate qualification in any discipline, granted by an eligible HEI within Ireland. The application for a scholarship is developed by the applicant, in collaboration with an Employment Partner and host HEI. Awardees have, for the term of the award, dual status as employee of the employment partner and postgraduate student of the host HEI. Application for a scholarship can be made in respect of both a Masters Degree by Research or a PhD. fulfil the criteria in Clause 4.5 if already registered and part of the degree has been completed. Research Masters Scholarships, not currently holding or having previously held a Council Postgraduate Scholarship. Degree Scholarships, not currently holding or having previously held any Council Postgraduate Scholarship other than those which would enable them to obtain a Research Masters Degree. maintain her/his principal residence in Ireland (as defined) during the period of the Scholarship. satisfy the State’s regulations on immigration and have the support of their HEI and Employment Partner with respect to these regulations and requirements if not a national of a member state of the European Union (EU). This must be completed in advance of signing a contract with the IRC. 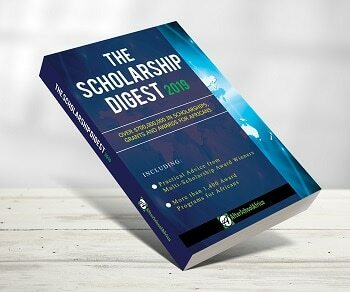 For all Scholarships, arrangements with respect to immigration will be a matter forsettlement between the Scholar, his/her HEI, the Employment Partner, and therelevant immigration authorities of the State. A contribution of €16,000 to the employment of the Scholar. A contribution of up to a maximum of €5,750 to Scholarship fees (including non-EU Scholarship fees). In the event of any differential between this contribution and the institutional fee, this must be paid by the Scholar and/or HEI and/or Employment Partner. Scholars who hold a fee waiver from their HEI, or where no fee is required, or where fees are paid in full or in part by a third party, must inform the Council and the appropriate offices in their HEI and will not be eligible for the fee portion of the Scholarship. Eligible direct research expenses of €2,250 per annum to enable the scholar to carry out the research project. Please see Appendix III for guidance on what is considered an eligible direct research cost. All Scholarships will commence with effect from 2nd September 2019 (no later or earlier). The duration of funding to be given for the Scholarship is dependent on the type of degree being pursued and the date of first registration. How to Apply: Applications (including academic supervisor, employment mentor and referee forms) will only be accepted through the online application system.